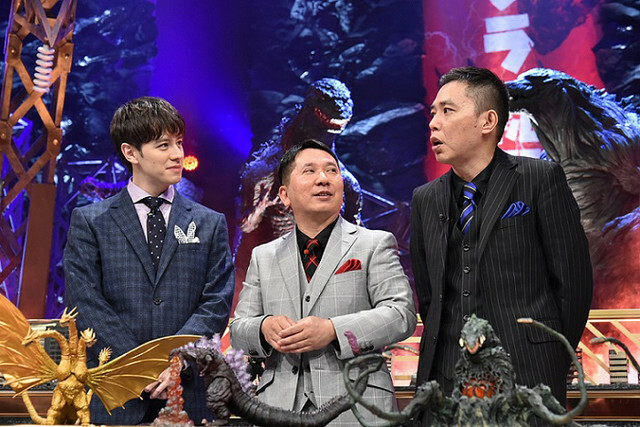 Television network TV Asahi to host variety program titled “Godzilla General Election” to commemorate Shin Godzilla‘s Japanese terrestrial broadcast debut on TV Asahi. 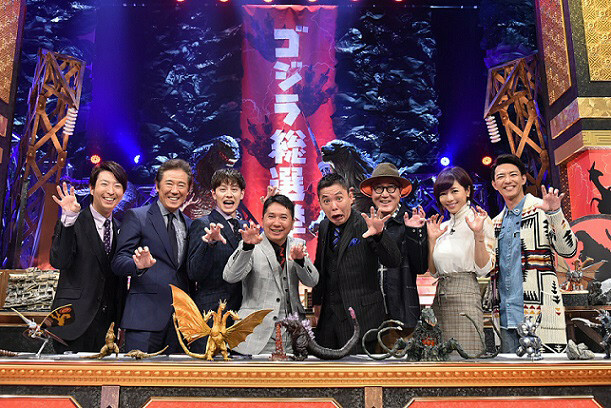 Popular television network TV Asahi has announced that they will be hosting a special variety program titled “Godzilla General Election”. This is to commemorate the Japanese terrestrial broadcast debut of the Shin Godzilla film on TV Asahi on November 12th, 2017. The program consists of approximately 10,000 Godzilla-related staff members and Godzilla fans who vote on their 20 favorite kaiju from over 63 years and 30 films worth of Godzilla film history. They were encouraged to pick their favorite kaiju from a list of about 50 possibilities, including such iconic kaiju as Godzilla, Minilla, Mothra, and King Ghidorah. Bakushō Mondai comedy duo Yūji Tanaka and Hikari Ōta will host the program alongside singer Eiji Wentz (Mitamura Haruhiko from Kamen Rider The First). Furthermore, Godzilla fan and actor Shirō Sano (Michihiko Zaizen/Dr. Pac-Man (Voice)/Genomes Bugster (Voice) from Kamen Rider Heisei Generations: Dr. Pac-Man vs. Ex-Aid & Ghost with Legend Rider), radio personality Kon Arimura (King’s Brunch), actor Tokuma Nishioka (Takehito Fujio from Godzilla vs. King Ghidorah (1997)), actress Yumiko Shaku (Eri Hinata from Kamen Rider G), and actor Noboru Kaneko (Kakeru Shishi/GaoRed from Hyakujuu Sentai Gaoranger) will be present as guests. The “Godzilla General Election” program is set to broadcast on TV Asahi from 1:55 PM – 4:00 PM JST on Sunday, November 12th, 2017. Lastly, the 2016 “Shinnosuke vs. Shin Godzilla” episode of Crayon Shin-chan is set to be re-broadcast on November 10th, 2017.